Set design of unidentified ballroom scene for The Music Box Show, starring Liberace, London Palladium, 1960. 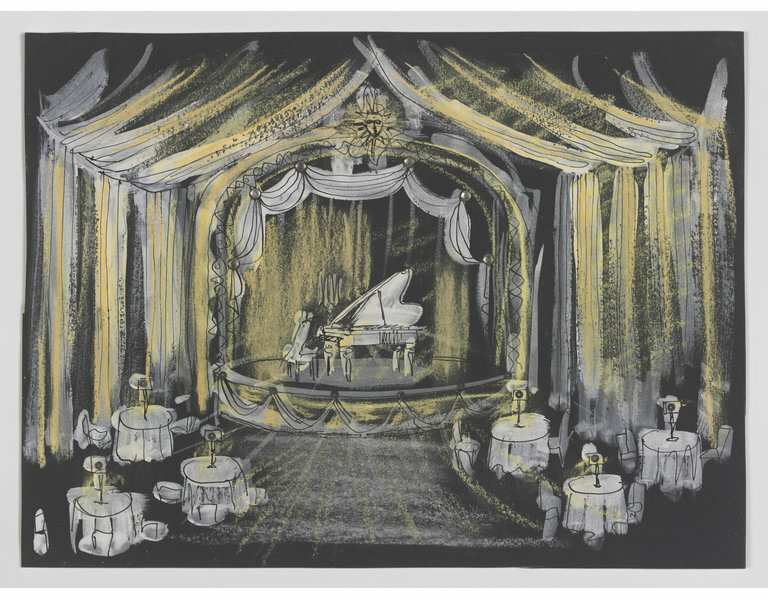 Gouache, pastel and ink on drawing board set design of unidentified ballroom scene for The Music Box Show, starring Liberace, London Palladium, 1960. The design features a ballroom setting with six dining tables with chairs and table lamps. 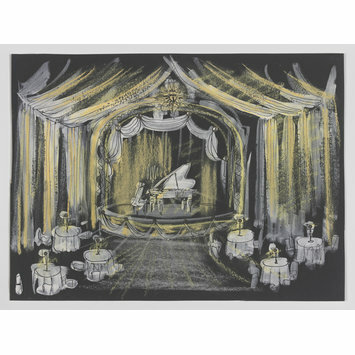 There is a stage and proscenium arch at centere lined with white and gold drapery and at the centre of the stage is grand piano with candelabra.